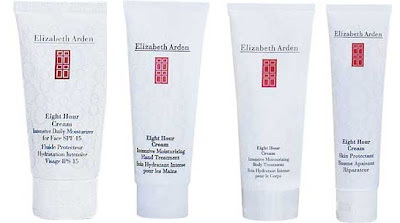 Win an amazing set of Elizabeth Arden products inc: Elizabeth Arden 8 Hour Skin Protection, Elizabeth Arden 8 Hour Body Treatment, Elizabeth Arden 8 Hour Hand Treatment and Elizabeth Arden 8 Hour Daily Moisturiser - SPF 15. Winner will be picked randomly and announced on 22nd Nov 2010. This prize has been supplied courtesy of Argos, who provide a wide range of perfume, skin care, and make up products. Prizes will be delivered within 28 days of the competition closing. Hey my best kept beauty secret is that to use a cotton bud around your waterline,then apply black eye-liner (pencil) for it to last all day! I use an eyeshadow to set my eyeliner and make it stay. Best kept beauty secret ~ A light sweep of your favourite bronzer on the contour of your cheeks (and temples) to create a slimming silhouette effect. Blend, blend, blend is the key to rid of any harsh lines with this technique! Hi, I'm a follower here and on twitter. My beauty secret is to use olive oil to remove my eye make up! To prevent the numbers and brand names rubbing off your make-up brushes, when you first get them apply 1 layer of clear nail varnish over the lettering to prevent it from rubbing away! When using a micro-dermabrasion product (St. Ives makes an affordable and effective one) on my face, I also use it on the tops of my hands. I want the rest of my hands to look as well kept as my manicure. Hi my best kept beauty secret is to use a Qtip to dry my waterline both on the upperlid and lower lid before applying any liner on them so the moisture wont smudge them. Use homemade FRUIT MASKS on your face as often as you please - they work like magic, especially on an oily skin like mine! :) They purify & nourish the complexion and are also natural & affordable. I am following you through GFC with the nickname "Madutza". My best kept beauty secret must me plain Vaseline. I have used it for years for my chapped lips, dry spots, sore spots, everything! I apply a little bit of black eyeshadow over my liquid liner to make it stay all day and for extra black! My best beauty secret is for red lips use a pencil to line the border of your lips and to fill them in. Then add the lipstick. Grab tissue paper, put against the lips, powered it with your face powder ( repeat 4x the whole process ) and you red lips will last longer and it will not smudge!! Don't forget to moisturize before starting! My best kept beauty secret is prescription Retin-A. It evened out my skintone and deminished my dark marks left over from previous acne. And it has wonderful anti-ageing properties as well, which is an added bonus. My beauty secret is go get a toothpaste with a high rate of fluoride in it and after you brush your teeth NOT rinse them with water. After a couple of weeks it makes your teeth obviously whiter. being happy and smiling, those are the best beauty tips. my best beauty secret is to drink lots of water, cleanse tone and moisturise!! including neck and the backs of my hands to keep them looking young! oh and to always remove make up before bed as it ages your skin by 8 days if you dont!! My best secret is sleeping with conditioner in your hair (Aussie 3 minute miracle seems to be the best). Always feels a bit icky at first but totally worth it when you wash it out in the morning for super smooth hair. Also styling your hair by using your own hair 'hairbands' (does that even make sense?!) because it looks cute and covers my roots! I use toothpaste to get rid of spots! sounds weird but it really works, it dries them out and doesn't leave blemishes behind! my best kept beauty secret is to shave your legs with baby oil. i couldnt believe how smooth my legs felt for days! My best beauty secret is to blow dry your moisturiser before you apply foundation, it lasts so much longer! my best kept beauty secret is dovesoap. i use it for shaving my leg, washing my face and in the shower, it's the only thing that stops my elbows from getting dry too! my best kept secret is to use grapes oil for moisturizing face and prevent wrinkles, especially wrinkles of the eyes. makes your skin bright and silky smooth. My beauty secret is shaving legs with conditioner,it works so much better and cheaper! My best kept beauty secret has to be using Aldi's Lacura Anti Ageing Serum it beats all my expensive creams by far! 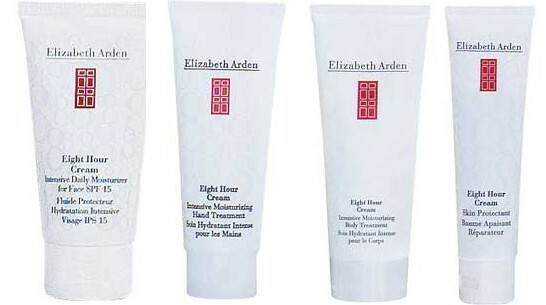 my best kept beauty secret is sudocream for spots and hair conditioner for shaving gel! My best kept beauty secret is use salt and water to exfoliate. It gets away dry skin and is really good for sunburn on your face :) It's really good and even better than some exfoliaters and ofcourse cheaper! My best kept beauty secret is Pond's cold cream to remove "leftover" eye makeup in the morning - it does double duty in helping wake me up! One tub lasts years! my best kept beauty sercet is palmers cocoa butter formaula for dry skin, keeps my skin nice and smooth during all the months of the year! Hi Imogen! I try to carry myself with good posture and pleasant facial expression. A good slather of grapeseed oil helps to! My best kept beauty secret is Queen Helene's Mint Julep Masque. It really clears up my pores and makes them a lot less noticeable. Works better than those painful pore strips! I've even got my BF hooked on it ;) The best part is, is that it only costs around $4.00!! Sweet Prizes! I follow you on twitter! My beauty tip is to use african black soap. It works awesome for dry skin, acne, breakouts, your hair and even discoloration. It is totally all natural and great for your skin. Make sure if you do buy it is it fair trade. My best kept secret is any fake tan but I use St Tropez. Nothing makes me feel better than a healthy colour (not an orange one)!! Great idea Imogen. It's nice to get beauty tips from other gals! My best kept beauty secret is I comb conditioner through my hair in the shower before I rinse it out so that its not all tangled and hard to comb through after. Love your blogs! I follow you on Facebook. One of my best beauty secrets is almond oil, its great for healing burns,dry skin,hair and helping your nails grow,also great for mixing with sugar for a body scrub! My best kept beauty secret - if you can't afford Mac Mixing Medium (or not a Pro store member)...use Boots Cucumber eye gel! It's £1.50, so dead cheap! Just mix it with a pigment to create a cream shadow. It also use it with pressed eyeshadow - it has a high Glycerin conent so sets and makes the eyshadow last ALL DAY NO JOKES - looks like you've only just applied it! The gel is also great for cooling puffy eyes - really works - my 1st HG product!! i followed your blog but i don't have twitter. My 'best kept beauty secret' would have to be sleeping with conditioner in your hair, kept moisturised with a shower cap on to prevent body heat from escaping :). I use olive oil for everything! It's an awesome deep conditioner for split ends AND it takes off waterproof mascara like a dream! i use sugar and olive oil as a body scrub. it's cheap and it's the best. My best kept beauty secret is sleep. Its amazing what just a half an hour nap can do for your skin! My best kept beauty secret has to be washing your face twice a day. Simple but beyond useful! I love using coconut oil for many things- as an intensive hair treatment just before i wash it; to prevent split ends; moisturising skin and nails; and also cooking! Best kept beauty secret - ALWAYS take your make-up off before bed, smile and drink plenty of water! well my "best kept beauty secret" is ... straight after my shower...i pat my body dry and i apply johnsons baby oil(aloe vera)..keeps my skin beautifully smooth and soft...and the same with my face but with a good face cream.... And recently ive been breaking out in spots!! (at 25..its horrible..but thats hormones for ya..)but whats really helping is savlon antiseptic cream!! My best kept beauty secret would most likely be to mix baking soda with water to create a paste, you can use this paste to wash your face or to exfoliate. Its great a removing dead skin cells and makes your face glow, i usually do this maybe once or twice a month depends on how dry my skin is or how it feels and looks. My best kept secret: I meant Good Look hair moisturizer by Wayco. It's my best kept secret cuz my younger sisters who have much longer hair than I do don't use any hair moisturizer and their hair is totally frizzy. Haha. It will remain a secret until they finally decided to use my things in my bathroom. Enter me please! I follow you on here and twitter already. My best kept secret is chamomile lotion (the pink lotion for bites) it works wonders for drying out spots fast! Hi, there :D I follow you here and on twitter. Www.twitter.com/Dollsome. My best kept beauty "secret is - Put vaseline on the back of any new shoes to stop them rubbing your feet on a night out! it really does work.!!!!!!!!!!!!!!!!!!!!!!! My secret has to be TAKE YOUR MAKEUP OFF AT NIGHT! No matter how tired, drunk or cranky you are, its gotta go!! My best kept secret is to use black eyeshadow over the kayal on the waterline. this will make it last forever! Every girl need to have that beauty sleep to maintain their beauty. I have follow your blog, twitter as well as youtube. Hiya.. what a fantastic comp!! My best kept secret would have to be rubbing my lips with a damp cloth and sugar to keep them soft & exfoliated!! It's also yummie! My Best Kept Beauty Secret is to use Extra Virgin Olive Oil as my make up remover and cleanser in one :) It removes everything from your skin and leaves it so soft!!! For skin ; honey and bannana, mash up bannana and mix with honey apply to face and leave for 10 mins. Makes your complextion smooth and clear. My best kept secret is olive oil.I use it on the tips of my hair, eyelashes and on dry areas around the body. It is amazing! Hiya, i would love to be entered for this great prize! My beauty secret(s) are to drink plenty of water and stay away from too much Coka-cola, I used to drink a can almost everyday and i could never understand why my skin was so bad until I stopped drinking it! The sugar in it is awful for your skin! Also use talcon powder on greasy roots instead of buying expensive dry shampoo sprays that run out so quickly! I try to drink a lot of water like "Curlyrach101" does, because it cleans your skin and makes it beautiful. I don't were any foundation or powder, only on VERY special days, and ONLY if I have pimple(nicetranslator.com - or is it called a bum?). I only use make-up around my eyes, and some times I don't use anything at all. The first thing I do in the morning is cleansing my face with "Nivea Visage - Refreshing cleansing milk" and then I use "Clinique - moisture surge - gel-créme" which makes my skin SO beautiful. Of cause it depends on your skintype which cremes you should use. I only use make-up on special days. My best kept beauty secret is cleaning my face every day before nite time, and put my hair in a loose comb. I use baby moisturizer everyday. my best beauty secret is: honey,i put it on my face and leave it for 20 min then wash it off.it makes your skin so soft and it's a cheap secret too. ♥ I use one of the most convenient and cheapest product to remove my makeup effectively. And the secret item is Baby Oil! Always wear vaseline before wearing any type of lipstick or lipgloss, it makes your lip softer and adds that shine to it! A homemade lemon facial scrub, wet face with warm water, squeeze lemon juice onto a cotton pad and suagr, then scrub your face in circular motions. This is great for all types of skin troubles- acne/blemishes/scars/sunspots etc etc. Leaves your skin feeling really clean and super soft! My beauty secret would be using virgin olive oil to remove eye makeup. It takes off everything! Even waterproof mascara. Also, green tea and lemon juice as a toner, just make sure to use sun screen! 8 hour cream is amazing!!! I love soaking my skin with shiseido relaxing mask. Can be rinsed or tissued off. Leaves my face feeling fresh and looking healthy!!! It helps to keep my hair smooth and shiny. My best kept beauty secret is to put a thin layer of toothpaste on a pimple and let it dry over night. I follow your blog and at facebook. I folow you here and on twitter. beauty secret? using cinnamon and honey on my face as mask! My best kept beauty secret to keeping a healthy, shinning smooth hair is to do a avacado puree and apply it all over your hair then cover your hair with a bathroom hat or any platic bag and leave it on for an hour. wash out until you see no more avacado coming out... plus you re not using any chemicals which means its a natural remedy... Weird i know but it really works. In the shower, I like to rinse my conditioner out with lukewarm/cooler water. This really helps the conditioner set in and do it's job, leaving my hair really, really soft! I use jojoba oil as an all over moisturizer (cuticles for example) and to get rid of flyaways! vaseline to remove stubborn eyemakeup and to put on my feet at night with socks. Oooh lovely giveaway! My best kept beauty secret is my pore-cleansing routine : Once a week I steam my face to open up the pores and follow immediately with an egg-white-facial. (You basically coat your face with beaten egg-whites using a cheap foundation brush, layer any soft tissue over the goo and add a layer of egg-white over the tissue. Then, let it tighten and harden for about 20 minutes and when you peel it off, all the gunk in your pores comes off. Soo much better and cheaper than pore strips.) Now that you have clean pores, follow immediately with a pore-refining mask like Soap and Glory pore-refining facial and voila! Clean skin! I follow your blog and you on twitter. My beauty secret is putting eyeshadow on top of eyeliner to make it last longer. One of my beauty secrets is to apply alba un-petroleum to my lips and under my eyes before bed. It leaves my skin soft, prevents any laugh lines from setting in, and lips are ready for light exfoliation then silky smooth for lipstick, gloss, etc. :-) plus, alba is all natural/organic. I follow you on Twitter already, BB04. My beauty ssecret is setting my foundation with a moisturiser. One trick if you need your hairdo to stay for longer is to use beer in your hair before styling it. It is a well known trick in my country and i used it on my wedding day. It turns out in the seychelles they do it too! And in that heat i needed more than hairspray. My hair didnt smell odd and my curls stayed for the entire day. My best kept beauty secret is to laugh every day! Laughter keeps you young! My best kept beauty secret is to use BEPANTOL! It is a great moisturizing, especially on the lips and cuticles. My best beauty secret is adding olive oil to hair colour when I dye my own hair . The colour will then be vivid and your hair gets shiny and healthy. My beauty secret is in fact Cleopatra's secret: I put milk in my wather when I take a bath. I never leave the house without putting a little bit of something bright in the inner corners of my eyes. Makes me look instantly more awake. I use a Laura Mercier Metallic creme. - I use Olive Oil as makeup remover. Since I have very dry skin I first remove my makeup and afterwards I make a moisture of Olive Oil and Sugar, and scrub it on my face. It takes all the dead skin away and leave it very soft. It is the best feeling eveer! Hi Imogen. Im following you on here and on twitter. My best kept beauty secret is to always have a bottle of clear nail varnish, as besides making your nails look lovely, its great for stopping ladders in tights and its fantastic for if you have any earrings that leave grubby marks on your ears or for rings that tarnish and leave your friend green- you just put some clear nail varnish on the back of the earrings or on the inside of the ring and voila! No more dirty tarnished marks! when you feel a cold sore coming, rub vaseline all around the area when you feel it coming ( before you go out, when you come home, before you go to bed etc. ) this always work for me! i havent had one in years. also, i dont like to wash my hair everday, just so i can let the natural oils soak into my hair - and its healthier for your hair - so if my hair looks greasy at the roots i just blow dry it and it gives me a beautiful windswept look with no greasy roots! failing that i use talcum powder but not too much!